We are now well in to the autumn sales and have had our fair share of store lambs, ewe lambs, breeding ewes and rams. The season started with an air of depression with everyone convinced that prices would be distinctively worse than last year. This impression has not proved to be entirely correct with prices in most instances similar and in some cases better than last year. Quite why this has been the case is something of a mystery, with an adverse exchange rate making our exports uncompetitive and home consumption in decline. One possible explanation is that the store and breeding business involves transactions between farmers, insulated from the cruel world of commerce by the unfailing optimism and enthusiasm for the industry they know and love. It is remarkable to note the investment, both financial and physical that goes in to improving the livestock our farmers are producing, and all this despite indifferent prices for the finished article. One thing is certain and that is that there are more customers for the better end of the breeding stock with values often double the price of the also rans. 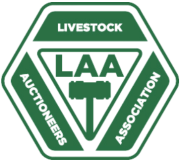 Attend any specialist livestock industry event and you will be impressed by the appetite for knowledge as farmers strive to do things better, be it reducing disease, improving growth rates or increasing fertility. If only the amount of energy and enterprise that goes in to preparing sheep for shows and sales could be matched by other elements in the chain between farmer and consumer we would all be much better off. As it is, it would seem that livestock producers have somehow delegated the promotion and marketing of their produce to processors and retailers whose main interest is clearly to sell cheap food to their customers, a position geometrically opposed to that of the producer. Can we look at the politicians to assist? Certainly not. No government has ever been thanked for increasing the cost of food and farmers have always been considered sufficiently resilient to survive to the next election. So where does that leave the sheep farmer? UK domestic consumption levels are alleged to be around 4kg per capita, and the typical consumer of lamb is growing old and losing their teeth at about the same rate as our ewes. Perhaps we should seek advice from Mongolia where the average consumption is 45kg per head.